This little gem was recommended to me by Barbara, from The Corner on Character. I actually wrote this post a couple of years ago, but it's been a very popular one so I thought it was worth updating, especially at this time of year, because it has lovely messages about friendship and bullying. Whenever I read it to my class it's always a BIG hit! Opening Lines: "Mac was a good apple. He shared his toys with the other apples, helped Granny Smith pick up after art class, and loved to dive fearlessly into the watering hole." 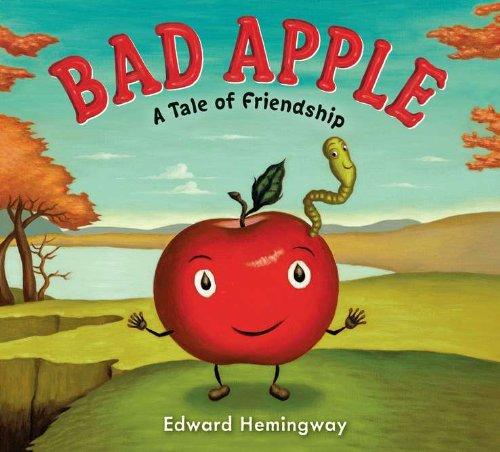 Synopsis: Mac is a GOOD apple who learns to stand up to the bullies in the orchard when they start teasing him because of his new friend, Will the Worm. 2. Most people have heard of the Wrinkled Heart activity, but it's such a good one, it's worth mentioning again. I've done this activity for years and it really hits home with the kids. 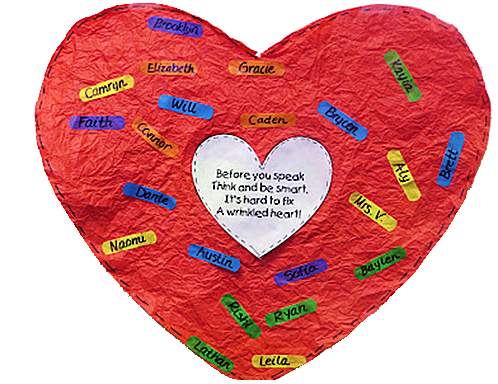 Essentially, you have the kids take turns crumpling a large heart, while they say something mean to an imaginary person. Then the heart is passed around again, but this time the kids say something kind and smooth out the heart. Of course, even with all the smoothing and soothing, the heart is still wrinkled, just as a real heart would be after enduring some serious bullying. I love the idea of adding everyone's name on a band-aid. It helps to give ownership to the activity, and clearly demonstrates that "band-aid" fixes will NOT mend a broken and scarred heart. I don't have any pictures, but fortunately First Grade Wow! does. I love how she also has a great little packet of activities to go along with the wrinkled heart. Be sure to check it out. 3. Toothpaste Activity: This is also a very cool activity which clearly demonstrates that bad words cannot be taken back. Have a child squirt some toothpaste in a line along some paper. When they're finished, ask them to put the toothpaste back into the tube. Of course, it's impossible; just as it's impossible to take back unkind words. 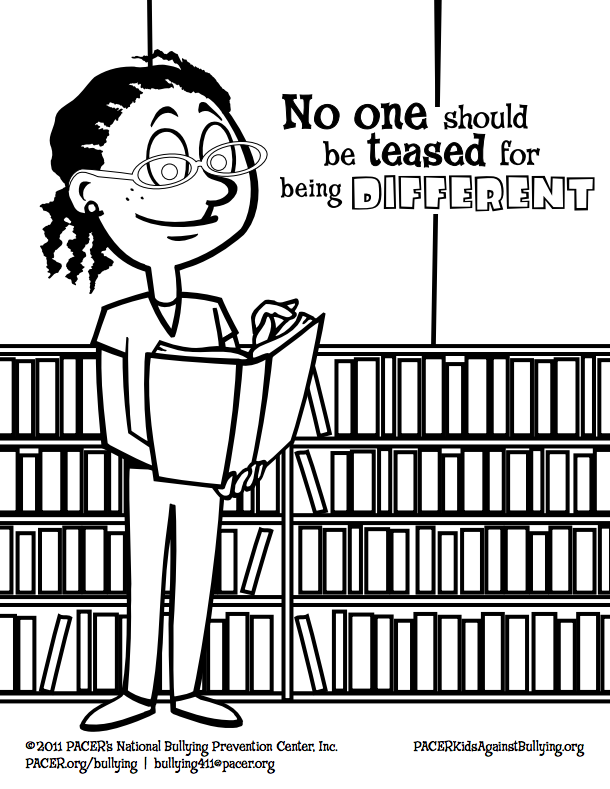 You can find this activity and more at The Bully Proof Classroom. 5. 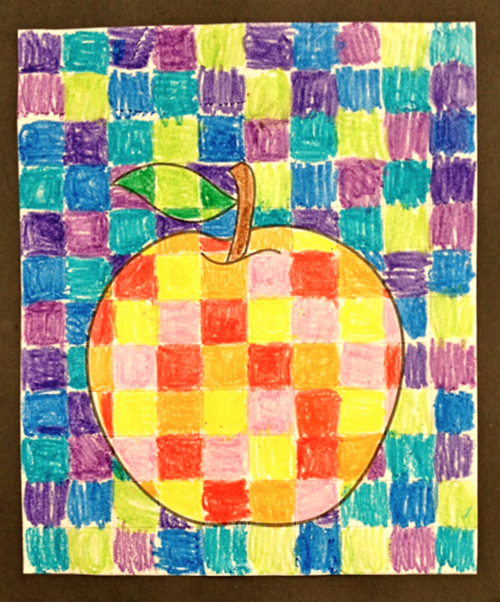 I also have an apple mosaic art activity that's not related to bullying, but IS very gorgeous. Directions: Give each child an apple sheet with a grid superimposed (click here for a copy). Have them use warm coloured crayons to colour the squares inside the apple, and cool coloured crayons for the squares outside the apple (this little artist used a yellowing green on the outside instead of the blue-greens, but it still looks pretty awesome!). 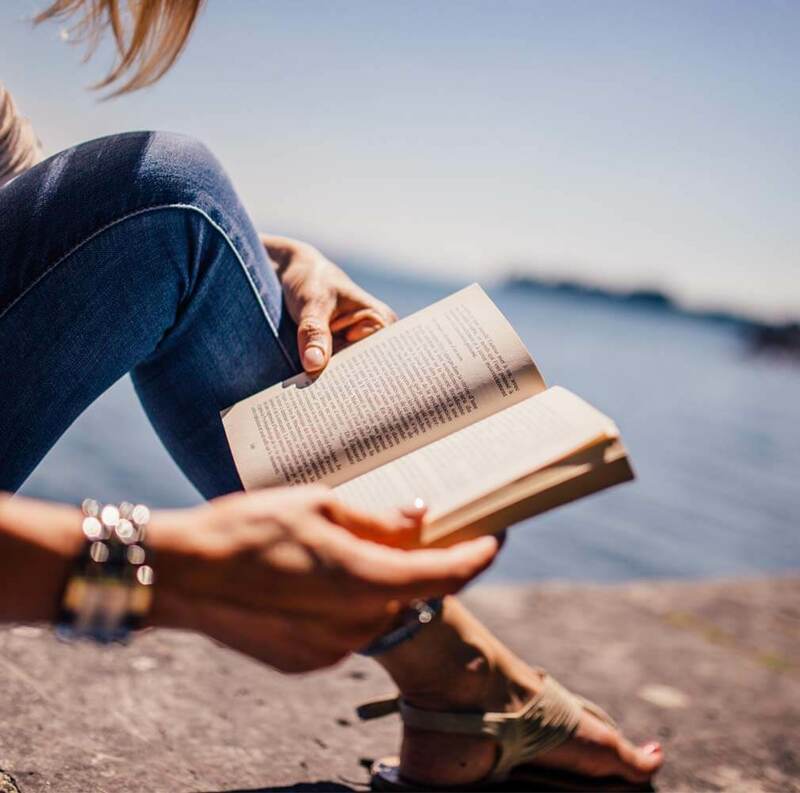 Looking for more books and activities? 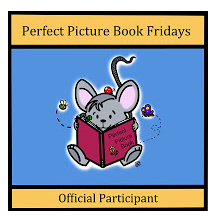 Be sure to check out Susanna's Perfect Picture Book links! Thanks for the great tips, Barb. We're doing bullying too. The apples look wonderful. That's some very careful colouring for early grade one. This book looks like it would fit perfectly into what we're learning in our room. Your mosaics are so vibrant, by the way. This is a really good book to use to talk about bullying. Love your very creative activities and pictures from the class. This has become a very popular book. I've heard of this book. It comes highly recommended. Thank-you for the excellent activities. Bookmarking this! I love it: Mac the Apple and Granny Smith. . . clever! Yay! Such a fun book with SO much extension possibility! LOVE your mosaics. 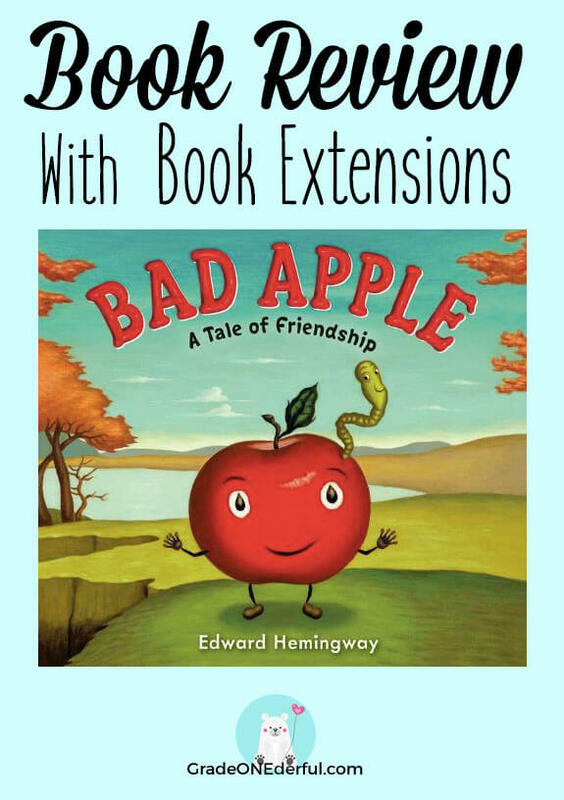 Thank you for sharing "BAD APPLE" along with your inventive ideas and activities! Sounds like a wonderful book and the video is so sweet! The names in the book are fun- Mac the Apple and Granny Smith. Makes me smile! Oh my goodness...You got a comment from the author! I feel so honored to be in his company! 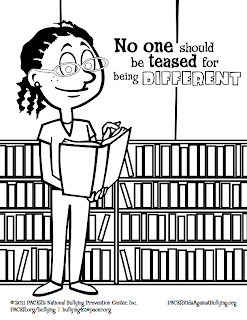 I LOVE this book and my students do too! Thank you for the apple mosaic project. I'm going to try it this week! We are both apple and friendship story lovers! We will check this out. Fun projects too. We have a big anti-bullying campaign going on at our school. I'll see if I can get my hands on this one. Just put the book on hold. I did the toothpaste activity with a bottle of tempera paint. Then we grabbed a brush and turned it into a big R. A reminder to be respectful! Thanks for the list of great ideas. Glad your class liked this on too. I love the author's use of color ! I read the Bad Apple during my apple unit. I like reading books like that (with the ensuing short bullying discussion) throughout the year as a reminder of how important our actions and words are. I just found One by Kathryn Otoshi which is another wonderful book for young children about bullying that I am going to read to my kiddos soon. ps - I love the apple mosaics. They are really beautiful. Thanks for stopping by, everyone! I love all your comments. Wonderful book and review. Another universal message, thanks Barb. Love the video clip and activities. I have to read this one ASAP. Love the trailer! Your activities are awesome. 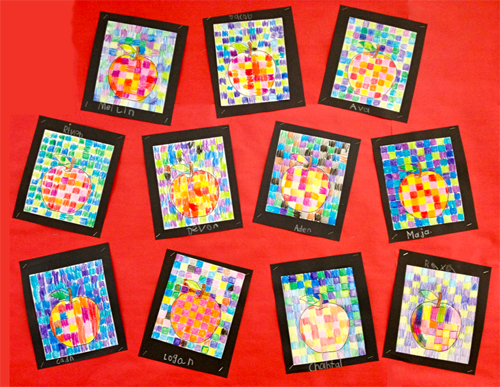 I love the mosaic apple art! Boy am I seeing this book everywhere! I must read it! And your activities are really fantastic, Barbara! Thanks so much!